Innovative new brand tries to influence affection. Audience switches off. Natalie Smithson is a conversion copywriter. She works with ambitious, creative, big-hearted people who use technology to make the world a better or more imaginative place. She writes about innovation and disruptive thinking, making human connections in a digital world. Nimble. It’s a perky little word, isn’t it? Often associated with companies who do things differently. The innovators. Disruptors. The ones who want to change the world. Why? Because they’re dodging the indiscriminate belch of the status quo. Innovators must be able to duck the pull of familiarity and leap over resistance to change. At Amazon, where they changed the way we shop forever, following what everyone else does is “frankly, a punishable offence,” says one former employee. Who cares what the technology does? Tech giants like Facebook want to know what their audience enjoys about their experience on the platform, so they can stay top of the popularity board. Way before they crashed out of favour following the Cambridge Analytica scandal, their Chief Technology Officer revealed Facebook does “research in a variety of fields, from systems infrastructure … to social science. We do this work to understand what we should build and how we should build it,” he said. But there’s an etiquette to how you form relationships with others, on or offline. When Facebook ran experiments in 2012 on “emotional contagion” (to find out how a post one person shares can affect the mood of another), they had to admit what The Guardian called an ‘almost sorry’ for being – well, a bit creepy. It’s one thing to show up in the same place as someone you’ve got a crush on, it’s quite another to follow them home. The point is to know what your audience wants in life so you can be a welcome addition to it, not try to twist their fate. In The Youth of Today, Kantar Millward Brown finds for many young people, a smartphone is “an extension of themselves, almost as if it were an extra appendage”. Is it because teenagers grew up with technology? Former Apple entrepreneur, Tony Fadell, says no. Adults are “addicts” too, he tweeted, spending “8+ hrs on screen/day”. This intimate space we share with our digital devices is part of life now. There’s an entire body of research dedicated to how we humanise computers, allowing them to become “social actors” in our lives — who hasn’t shouted at a slow laptop like it understands what to do? Scientists find smartphones have become so vital to our existence, people experience separation anxiety when they leave the house without them. It’s that heart-stopping moment in Home Alone when the Mum realises she’s left 8-year-old Kevin at home. Companies can’t just barge into the middle of an intricate relationship like this and expect to get someone’s attention. 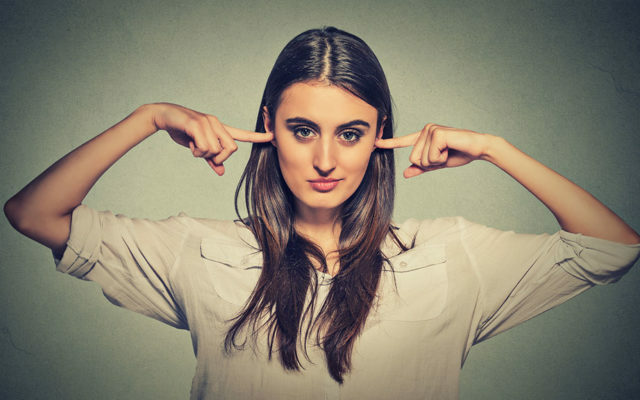 Younger audiences want brands to be “less interruptive” (so do I). As Facebook learnt the hard way, an intrusion isn’t well-received. The godfather of mobile devices takes us to one side in a cozy corner of their website to have a little chat about mobile use. Apple takes everything they already know about our relationship with our phones and gently, but firmly, tells us what happens next. Nest keeps it chatty. They understand the trepidation their customers feel when the winter energy bill breezes in through the letterbox, ready to sting. That pang of dread is eased out with a classy money-saving promise that will effortlessly turn heads. If money is important, so is your time – Lyft knows it. Their solution is inspired by anyone who’s ever waited in the rain or been stranded without a taxi. It doesn’t matter where you’re going, who with or why. To “be on your way” is the only thing that matters at that moment. Notice how the most successful innovative businesses don’t try to define you. WeWork doesn’t point the finger at a solopreneur and assume you can’t flourish with just as much abundance as a huge corporation. They simply offer you the space in which to do it. When the words you use focus on freedom rather than restrictions, people are more able to enjoy your brand in a multitude of ways. 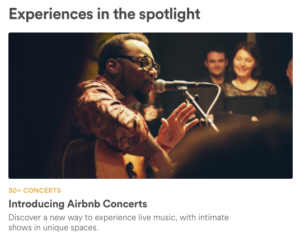 Airbnb knows their customers yearn for something different, but the result of that is unique for everyone, so they introduce live music gigs as an “experience” not an event. If your audience can humanise a computer, they will try to connect emotionally with your digital brand. If all they get in return is a robotic response, your audience will turn away. Ask yourself what your customer really wants. Not the product or the service, but the freedom they get from using it. Think about what that freedom means. What are they free from, exactly? How is their life better? Now figure out how to communicate the delight they’re going to experience just as soon as they sign up for giving you a try.